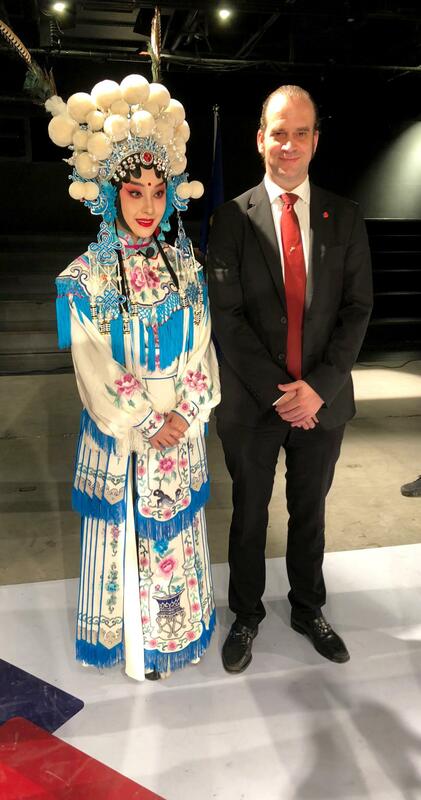 On 15th December, the European Chamber of Commerce (EUCCC) launched The European Business in China – Southwest China Position Paper 2018/2019 (Southwest China Position Paper). Later on that day, we had the chance to interview Mr Dominik, the Vice Chair of EUCCC Southwest Chapter. 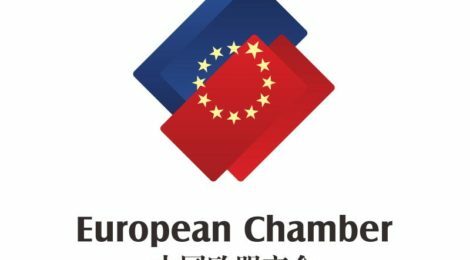 1, Could you please briefly explain the missions and goals of the European Union Chamber of Commerce in China to our readers? The mission of the European Union Chamber of Commerce in China (EUCCC) is to be the independent voice of European businesses in China. We seek greater market access and improved operating conditions for European companies. The southwest chapter further represents members in the outreach to the local government and supports the authorities in improving the region’s business and living environment. 2, How many members have already joined the Southwest chapter of EUCCC? What are the main industries in which they are involved? 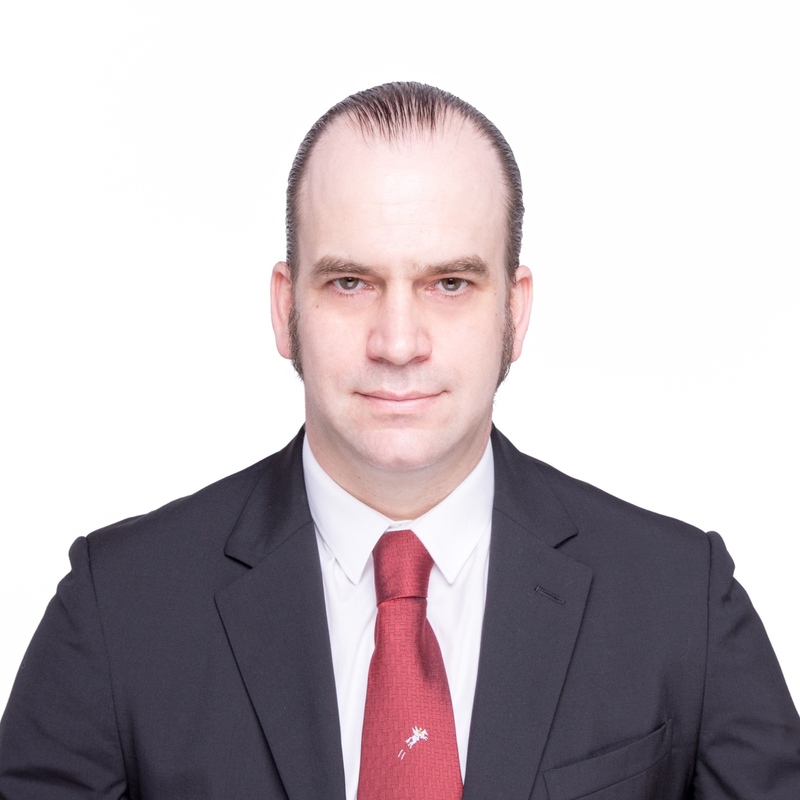 The southwest chapter of EUCCC is developing continuously and currently counts 164 members, two thirds of which are based in Chengdu and one third in Chongqing. 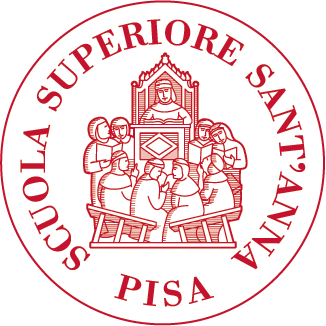 Among the Chapter’s members, 86 are fortune 500 companies and 78 are SMEs. 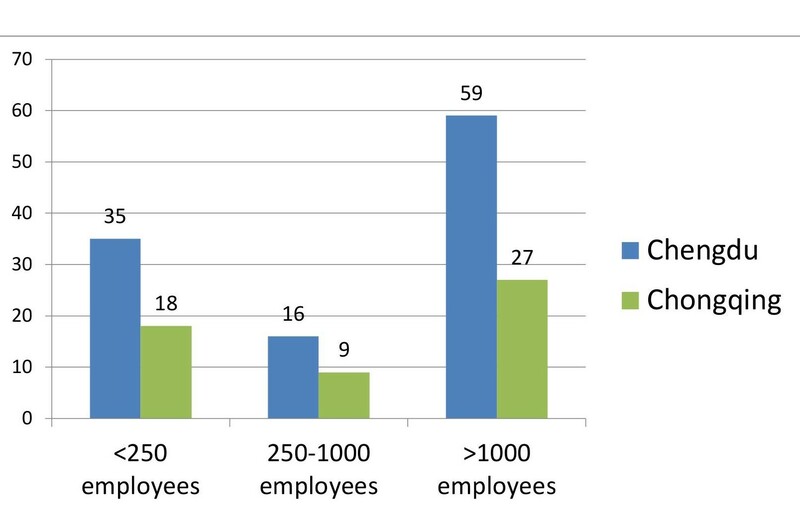 In terms of sectors, 58 companies are from manufacturing and the other 106 from the service industry. 3, In the Southwest of China, does the EUCCC has any cooperation with local governments or associations? The chapter acts as an independent platform for member companies to meet and engage with local authorities and associations in constructive dialogue. To be independent is important for the Chamber to fulfil its mission. Therefore, there are no cooperation agreements in place that could compromise our ability to stay independent. However, we cooperate with local governments on events and regularly engage with them to be able to provide European companies with legislative updates and clarification of regulatory issues, and contribute to the development of constructive solutions to problems faced by industry. 4, Could you please summarize the purpose of the Southwest China Position Paper for our readers? 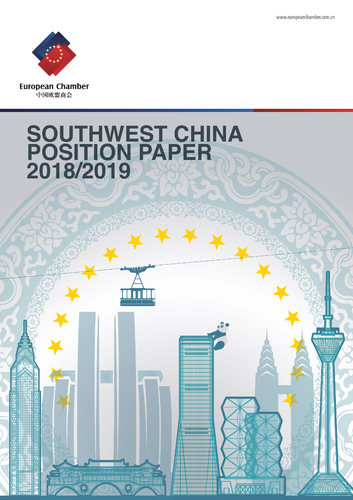 The European Business in China – Southwest China Position Paper 2018/2019 (Southwest China Position Paper) represents the views of the European Union Chamber of Commerce in China’s Southwest Chapter. Our 164 member companies have contributed to the latest assessments, concerns and recommendations of European businesses operating in Southwest China. We believe that the position paper will promote constructive dialogue between European companies and Southwest China, at both political and business levels. We look forward to continued improvement in business cooperation, to the benefit of both our members and local authorities. 5, What are the major trends in the presence of European businesses in the area? Chengdu and Chongqing are the two of largest and fastest growing cities in China. Rapid developments in ‘hard infrastructure’ – large physical networks such as railways, roads and bridges – mean that the region is now better connected to the rest of China, and the rest of the world, than ever before. Coupled with low costs compared to coastal cities, Southwest China is an increasingly attractive place to do business for European companies in all areas. In recent years, the growth brought about by developments in ‘hard infrastructure’ has slowed, meaning Chengdu and Chongqing need to shift their focus to ‘soft infrastructure’, or the human capital and institutions that cultivate infrastructure. This includes system of government, law enforcement, the financial system, education, and healthcare – all of which are necessary to catalyse more sustainable development. Therefore, there is a trend of increased presence of European companies in areas related to such ‘soft infrastructure’. 6, How challenging is for the European start-ups to deal with local culture and business practices? Reaching out to the right government contact, obtaining product licences, filing paperwork, trying to compete with long-established local firms, finding the right premises and recruiting qualified workers – these are all issues that European start-ups in Southwest China struggle with on a daily basis. As most of them serve the domestic market, these issues prevent them from reaching the full potential of delivering their products and services that local consumers demand.